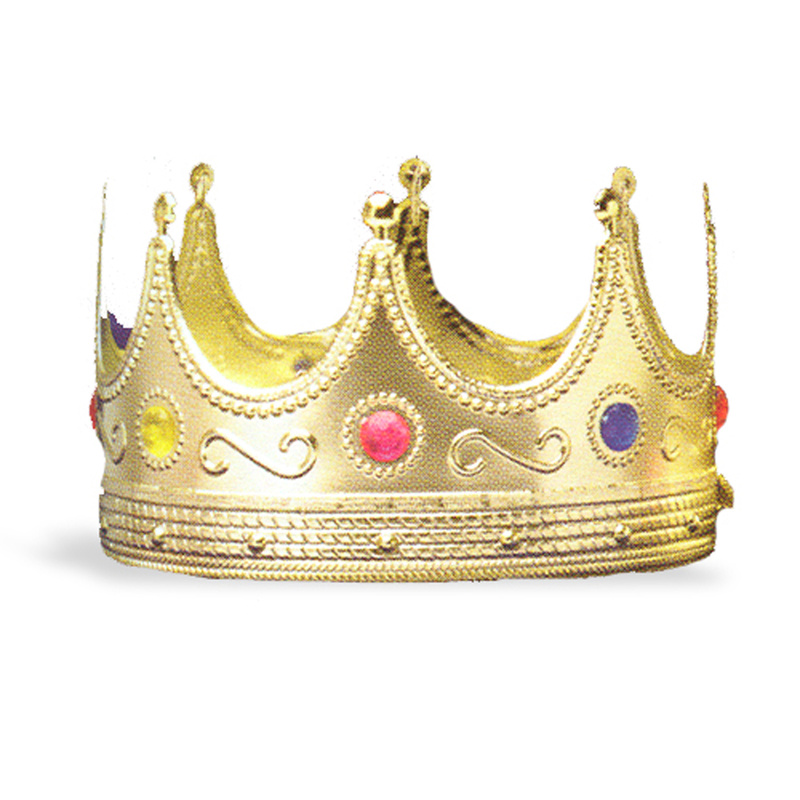 Gold plastic crown with faux jewels. One size fits most adults. 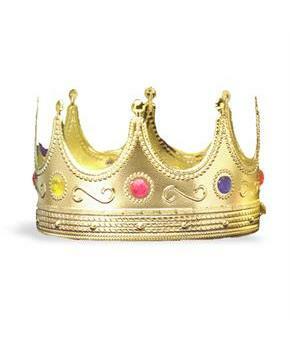 Also look for the Regal Queen Crown.